Take about 3 drops under the tongue in the evening and have had much better sleep. So I have been having a lot of joint pain, headaches and overall anxiety! 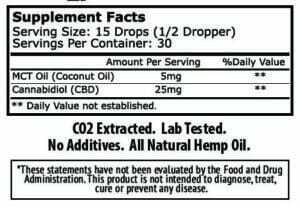 I started taking this product and I can tell you it helps!!! I am sleeping thru the night now where I was waking up every hr, I don’t have the aches and pains in the morning and I can tell you the headache are pretty much gone!!! I am so happy with this product and will continue using it! Btw I am going to try the pets one for my mastiffs! Thank you again great product!!!! Definitely ordering again. I wish I would’ve bought this sooner. Help with anxiety. .
Makes all the difference in the world, I love this stuff, the taste is mild, price is good. I’ve recommended this product to my friends. I’m a mother of two and was looking for a legal way to relieve anxiety and depression without medication. I take it 2-3 times a day and it’s changed so many things for me. I’ll continue to be a customer that’s for sure. Extremely high quality and a great price! Thanks Thoughtcloud! This is my 3rd order, and I will continue to order. It has helped me tremendously with my depression, anxiety and stomach ulcers. I was always so angry and in pain, now I feel clear headed and can slow down to think. I’m grateful to have found Thoughtcl0ud. I have even used it on my face to clear up zits.